As highlighted by this CNBC coverage, taking financial missteps during divorce can leave you in bad shape, especially if you and your ex’s finances are closely intertwined. It is crucial that you understand the implications of all the financial decisions being made, even if you are working with an attorney and/or financial advisor. Many people going through divorce think about whether they should keep the family home for the sake of their kids and providing consistency and routine. However, it is important to note that the mortgage that you could once afford with two incomes may no longer be sustainable to stay in. In addition, if you are offered the family home in exchange for your ex obtaining particular investments (such as the brokerage count or retirement savings), remember how costly keeping the house could be. It may not behoove you to take that trade. Remember that some things are taxed (such as income from the 401k) and some are not (such as the checking account, and keep this in mind when dividing up assets. Remember that in order to obtain a share of your former spouse’s 401(k) plan, you first have to get a Qualified Domestic Relations Order (QDRO) from the court. By doing so, you avoid paying a penalty for withdrawing funds from it early, however, you will still need to place it into an individual retirement account within 60 days to avoid paying income tax. If you rely on child support and/or spousal support, consider taking out life insurance on your former spouse in case of their death. With you listed as the owner and beneficiary on the policy, it could serve as potential protection against the loss of vital income. Remember that in Florida, marital property is divided equitably, and this includes assets that were acquired during the marriage, unless it was specifically set aside as separate property pursuant to a pre-or postnuptial agreement. This includes retirement funds, insurance policies, pensions, and other assets acquired during the marriage, but not inheritance and gifts specifically given to one party only. 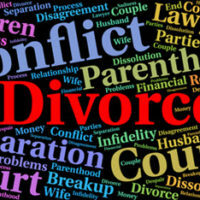 Consulting with an experienced attorney is wise at all stages of divorce, even in the very early stages. Your attorney can help you plan out what properties and assets will remain separate during marriage and help you ensure that you are on the right track in managing your assets to set them aside as separate property. 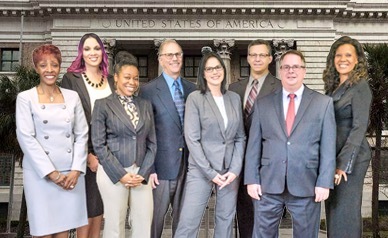 If you or a loved one has any questions about divorce, contact our experienced divorce and family law attorneys at HD Law Partners in Orlando, Tampa or Sarasota. We will ensure that you remain protected, regardless of your particular circumstances.